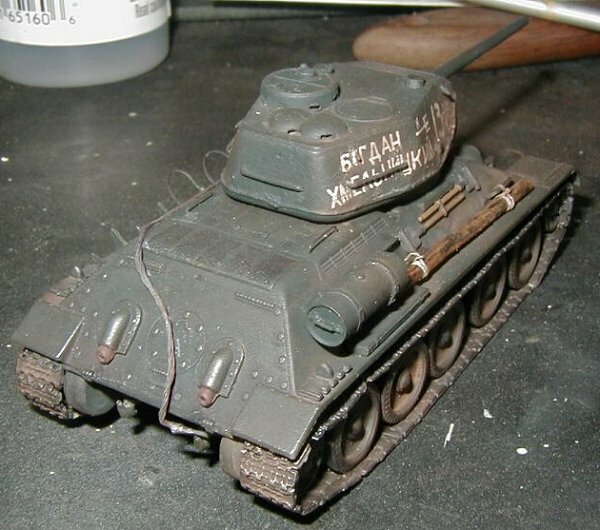 Some years ago was almost impossible to get a decent T-34 in 1/72 scale. The only options were the elusive Alby and out of production ESCI. Fortunately today we have the opposite problem. Nowadays Is hard to choose which T-34 to build from the many offers: Italeri (former ESCI) Eastern Express, Revell, AER and others announced to come. 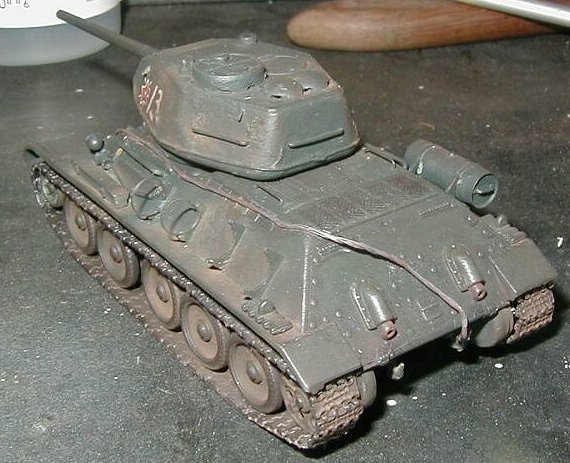 I received the sample as a gift from a old friend from Samara (Tanks Ivan Podgornov); so I started my first 1/72 T-34. 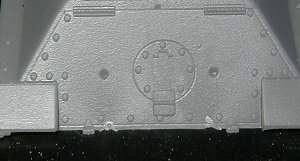 I must to know about the soft plastic characteristic from western injected kits (PST kits past experience), but as you can see from the photos, I had some problems when I removed the upper hull from the sprues. 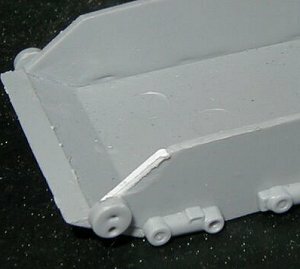 The upper hull and the under side have some misalignment, so I had to correct this problem with some styrene strips. The attaching point for the wheels were another problem. Being only shallow holes the joint is week and could also cause some misalignment among them. I had to open the holes on the front idler wheel as they are molded close. The problem that I was not expecting was the track assembly. On the sprue they look great; so I thought that I could be careless with them. I was wrong. Although they are really nice, you must spend some time cleaning and aligning them in order to achieve a good result. I must admit that the result was poor. So I must take extra care on my next try on T-34 waiting on my closet. Part of the problem was caused by myself. 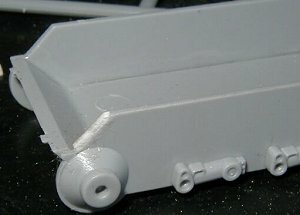 I usually use white glue to attach hard plastic tracks, which give me pretty much time to correct errors. This time I used plastic cement to save time and it did not work well. You must pay attention to the gun assembly too, as the gun barrel must pass trough the mantelet from behind. I usually only put the barrel on the final steps of the assembly, so it is easy to forget it. I added the molding marks on the turret using cotton thread and white glue, but I think that the result was slightly out of scale. I must find another way to do that. 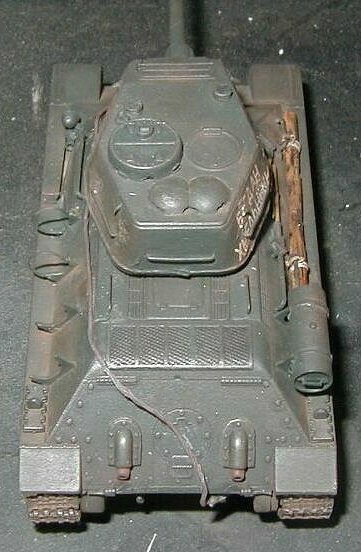 The rear grills deserved some photeched replacement, but I am not prepared to buy an expensive fret only for the grills (if some cleaver manufacturer launched a set called: grills for Tiger, Panthers and T-34 with, let me say, five grills of each, I will buy it). So I used some black oil wash to improve them. The braces where made of staples, steel wire, copper wire and even the plastic ones that come with the kit. I gained some experience here. The only parts of the original kit that must be substituted are the external fuel tanks, due to their lack of detail. I substituted them with the ones that came from the PST KV-1 which, with some work, look nice. The fuel tanks ended assembled too far from the rear deck. Then I opted to remove them leaving only one. The final appearance was surprisingly better even with the poorly detailed supports. The kit was finished with Tamiya acrylics (XF-27) and some pastel chalks. 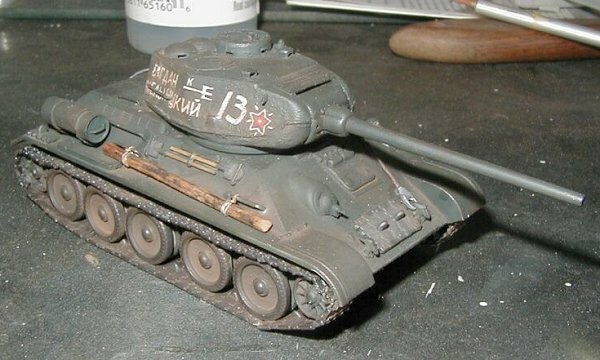 The decals come from the AER T34/85 kit. The slogan depicts the name Bogdan Hmelnitskiy, a national Ukraine hero of XVII century (tanks again to Ivan for the translation). 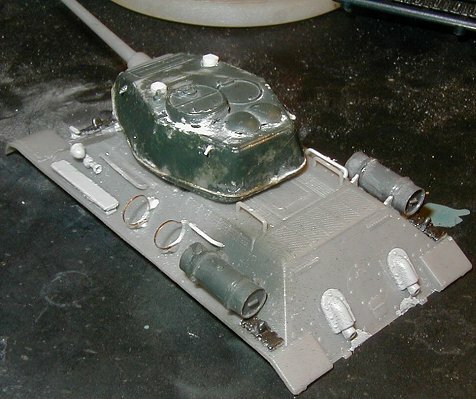 Conclusion: Easy to build, resulting in a nice T 34/85. Recommended for every one. Ps. Many tanks to my friend Ricardo Haddad for helping me with the grammar and for suggestions to improve the text.